Entering any N.I.S.L. competition is considered to be an automatic acceptance of the N.I.S.L.’s rules, policies and procedures including this Ethics Code, Guidelines and Rules. In addition, all teams within a N.I.S.L. Member Club will be held to the standards set forth in this Code of Ethics and Guidelines, regardless of which specific competition they play in. N.I.S.L.’s purpose is to set the highest standards for soccer clubs to develop youth players to their fullest potential – physically, emotionally, and ethically. As such, participants must conduct themselves to the highest standard. At all times, adult participants are expected to be role models for the youth involved in this league - exhibiting good sporting behavior in both victory and defeat. Adult Member: Any Coach, Director of Coaching, Trainer, Manager, Official or other individual 18 years of age or older affiliated with a Club and having access to a Player, the Player’s parents or the Player’s contact information that is not available publicly. Club: Any club or academy admitted to N.I.S.L. or that is a member of US Club Soccer. Coach: Any coach, assistant coach, or trainer employed by or volunteering for a Club. Director of Coaching: Any individual employed by or volunteering for a Club as a Director of Coaching, Executive Director, Technical Director, General Manager or as an assistant to any of the above listed roles and all Adult Members filling similar roles regardless of title. Game: Any N.I.S.L. sanctioned game, including all league, play date and State Cup games. For purposes of this Code of Ethics, tournament games sanctioned only by US Club Soccer, IYSA or USYS are not deemed Games. Manager: Any individual employed or volunteering to serve as a team manager, team parent or similar role regardless of title. Official: Any individual serving as a Coach, Director of Coaching, Referee, board member, director or similar role for a Club. Player: Any player holding a valid player pass from US Club Soccer and currently playing for an N.I.S.L. or US Club Soccer Club. Recruiting: Contact or communication with a Player who is registered to another N.I.S.L. Club and asking them to a.) attend a Try-out without giving written notice to the player’s current club Director of Coaching or Head Coach, or b.) attend a Training Session, or play or guest play for any other Team, without first receiving written permission from the Director of Coaching or Head Coach of the Player’s then current Club. Referee: Any referee licensed for the then current year by the United States Soccer Federation. Trainer: Any adult employed by or volunteering for a Club as a trainer regardless of title. An individual will also be deemed a Trainer if they are privately training Players who play for another Club. Training Session: Any Club sanctioned, or private, training session or practice. Training Sessions are limited to Players carded to play for the Club holding the Training Session. Tryouts: Any Club advertised try-out session, including regularly scheduled tryouts and supplemental tryouts. Tryouts are open to all Players and all youth who are not Players but are interested in becoming Players. 1. No Adult Member will have in his/ her possession, or consume alcoholic beverages or illegal drugs while attending an event sanctioned or sponsored by N.I.S.L..
2. All adults, including Adult Members, attending an event sponsored or sanctioned by N.I.S.L. will exhibit and demonstrate good sportsmanship at all times, including, refraining from coaching from the sidelines, harassing Referees, Coaches or Players or behaving in a manner disruptive to the enjoyment of any other spectator. 3. Adult Members shall not attempt to entice a team or player to leave a Club to come to anotherClub. 1. No Club will hire an Adult Member from another Club and within one (1) year allow this individual to work with any players he or she coached in his/her previous Club in the previous year without the written permission of their former Club. A Club’s lack of knowledge regarding an Adult Member’s previous association with another Club is not an excuse from sanction for violating this provision. Not withstanding the forgoing, serving as a Director of Coaching, Age Group Coordinator or other similar role shall not constitute coaching for the purpose of this rule. 2. All Clubs will have a Certified Referee Assignor. 3. In accordance with US Club Soccer policy, Clubs will release Players who request their release from the Club. 4. Clubs will not accept any Player from any other Club if that Player has outstanding fees with another Club. Unpaid fees shall include fees for services already rendered and shall not include by way of illustration, fees for services not rendered, reimbursement for scholarships given or penalties. 5. Clubs are responsible for the conduct of their parents and any spectators on the sidelines of any N.I.S.L. games. Purpose: This code of ethics has been developed to clarify and distinguish approved and accepted professional, ethical and moral behavior from that which is detrimental to the development of soccer within the N.I.S.L. and US Club Soccer. This Code of Ethics is applicable to all Adult Members and Players though in many cases the Coach will be primarily responsible for insuring compliance. Punishments for violations of this code of ethics may be imposed upon a Club if committed by an Adult Member or other individual present at a Game or Training Session. 1. The Adult Member shall never place the value of winning over the safety and welfare of players. 2. Adult Members shall instruct players to play within the laws of the game and within the spirit of the game at all times. 3. Adult Members shall not seek unfair advantage by teaching or encouraging deliberate unsportsmanlike behavior to players. 4. Adult Members should not tolerate inappropriate or unsportsmanlike behavior at Games or Training Sessions from players or adults regardless of the situation. 5. The demands Adult Members place on Players' time should never be so extensive as to interfere with academic goals or progress. 6. Adult Members must never encourage Players or other adults to violate N.I.S.L. recruitment, eligibility or other rules and policies. 7. Adult Members should direct Players to seek proper medical attention for injuries and to follow the physician's instructions regarding treatment and recovery. 8. Adult Members should take an active role in educating their Players about sports nutrition, fitness and about prevention of tobacco use. 9. Adult Members should educate themselves on a constant basis in order to provide their Players with the highest-level instruction possible. 10. Adult Members should always place the Player’s development first and place Team success second. 1. All Adult Members will adhere at all times to all N.I.S.L., United States Soccer Federation and US Club Soccer rules and policies. In particular Adult Members must follow all rules and policies regarding eligibility, team formation and Recruiting as those rules are mandatory and should never be violated. It is the responsibility of each Adult Member to know and understand these rules. 2. Any issues between Clubs should be addressed between the Clubs first. If the issue cannot be resolved between the Clubs, the involved Clubs should refer the issue to the applicable RAC, Event Coordinator or the N.I.S.L. PAD Committee. 1. Adult Members should be thoroughly acquainted with and demonstrate a working knowledge of the Laws of the Game. 2. Adult Members are responsible to assure their Players understand the intent as well as the application of the Laws of the Game. 3. Adult Members must adhere to the letter and spirit of the Laws of the Game. 4. Adult Members are responsible for their players' actions on the field and must not permit them to perform with intent of causing injury to opposing players. 5. Adult Members must constantly strive to teach good sporting behavior. 1. Referees must have the support of Adult Members, Players and spectators. Adult Members must always refrain from criticizing Referees in the presence of Players or spectators. 2. Professional respect, before, during and after the Game, should be mutual. There should be no demeaning or threatening dialogue or gestures between Referee, Adult Members or Players. 3. Adult Members must not incite Players or spectators or attempt to disrupt the flow of any Game. 4. Comments regarding a Referee should be made in writing to the appropriate organization assigning the Referee. For purposes of making such comments, the comments should be directed in writing to the Regional Referee Coordinator and the Certified Referee Assignor for the Club hosting the Game leading to the comments. 5. Referee game decisions (including yellow and red cards) may not be appealed to either the PAD Committee nor the Appeals Committee. 1. All N.I.S.L. rules pertaining to Recruiting shall be strictly observed by all Adult Members as well as all official and unofficial team representatives. Unofficial team representatives include all parents of Players. 2. It is inappropriate to Recruit Player(s) unless the Director of Coaching of the Player’s current Club provides written permission in advance of the initial approach to the Player. If a Player or parent of a Player initiates contact with any Adult Member of another club expressing intent to move to that Adult Member’s club, it is the responsibility of that Adult Member or the Adult Member’s Director of Coaching to inform the Director of Coaching of the Player’s current club. 3. Inviting a Player to guest play without first submitting the proper US Club Guest Player Form shall be considered Recruiting. 4. It is unethical for a Player to be recruited from any outside program including but not limited to PDP, MDL, ODP, High School or the US Soccer Training Center, either by a coach working for such program or any other Adult Member, Player, parent or Official present at said event. 5. When discussing the advantages of his/her Club with a Player or a Player’s parent, the Adult Member has an obligation to be forthright and refrain from making derogatory remarks regarding other Adult Members, Teams and Clubs. 6. It is unethical for any Adult Member to make a statement to a prospective Player which cannot be fulfilled; illegal to promise any kind of compensation or inducement for play; and immoral to deliver same. 7. It is unethical for Adult Members to attend Tryouts for other Clubs for the purpose of promotion or recruitment, unless invited by the Club conducting the Tryout in writing, or to have Players attend Tryouts at other Clubs to Recruit Players from the Club conducting the Tryout. 8. It is unethical for a Team or groups of Players to be Recruited from one Club to another Club by an Adult Member working in the Team’s present Club, an Adult Member from another Club, or any Adult Member or representative from inside or outside the Club. 1. Adult Members have the responsibility to assist their Players in conducting themselves properly when in public and representing their team, their Club, US Club Soccer and/ or the N.I.S.L..
1. An Adult Member's behavior must be such as to bring credit to himself, or herself his or her Club and the sport of soccer. 2. While the concept of rivalry is wholly embraced, it cannot take precedence over exemplary professional conduct. 3. The attitude and conduct of the Adult Member towards Officials, Players, spectators and other Adult Members should be controlled and undemonstrative. 4. It is unacceptable for an Adult Member to have any verbal altercation with an opposing Adult Member or Player before, during or after the Game. 5. Adult Members must use their influence on his/her teams’ spectators to prevent intimidating and/or unacceptable behavior towards Officials including Referees, Player(s) and opposing team spectators. 1. Referees will maintain the utmost respect for the game of soccer, conduct themselves honorably, and maintain the dignity of their position at all times. 2. Referees will always honor an assignment or any other contractual obligation. 3. Referees should educate themselves on a constant basis so as to know the Laws of the Game, their proper interpretation and their application. 4. Referees will be loyal to their fellow Referees and never knowingly promote criticism of them. 5. Referees will maintain good physical condition so they are capable of discharging their responsibilities on the field. 6. Referees will control the Players and Coaches effectively by being courteous and considerate without sacrificing fairness. 7. Referees will not make statements about any games except to clarify an interpretation of the Laws of the Game. 8. Referees will communicate with players, coaches and spectators in a clear and professional manner. 9. Referees will arrive timely for all Games. 10. Referees will have appropriate attire, including badges at all Games. 11. Referees are not required to provide their name, badge number or other personal information to any Adult Member or Official other than as required on N.I.S.L. game cards. Only the Director of Coaching or President of the Board of Directors of the protesting Club may submit a Incident Report to the PAD Committee. Reports forwarded by individuals other than the reporting Club’s Director of Coaching or the President of the reporting Club’s Board of Directors will be dismissed by the PAD Committee. All issues forwarded to the PAD Committee will be dealt with first by the PAD Committee, and if necessary, on appeal, by the N.I.S.L. Board of Directors (“BOD”). N.I.S.L. Members alleged to be in violation of any provision herein, or any other stated United States Soccer Federation or US Club Soccer Codes of Ethics or other guideline will be required to stand before the PAD Committee. To hear an issue, the PAD Committee will be made up of at least three who will act as the N.I.S.L. Ethics Committee. Allegations of ethics violations will be made in accordance with United States Soccer Federation, US Club Soccer and N.I.S.L. bylaws and operating procedures, with a copy sent to the Chairman of the PAD Committee. 1. Reports alleging violations of any N.I.S.L. Rules, Policies, Bylaws or Codes may be made only by the Director of Coaching or Club President of the Club making the protest. 2. Only reports referring to specific violations of the N.I.S.L. Code of Ethics will be heard by the PAD committee. Event specific protests such as scheduling or communication issues should be forwarded to the appropriate Event Coordinator. Club issues not covered in this Code of Ethics should be forwarded to the applicable RAC. 3. All reports must be made through the N.I.S.L.’s website. 4. Upon issuing a report, all members of the PAD Committee are notified. The Club that is the subject of the report will be notified within 48 hours of the making of the protest. Contact information provided on the N.I.S.L. Premier Website will be used. The PAD Committee will not be responsible for Clubs not getting PAD information if their contact information is out of date. 5. The Club making the report should electronically forward to the PAD Committee all evidence, including, but not limited to, contact information, emails, photographs, statements and other written evidence they wish to have considered. 6. The Club and individual against whom a report has been filed will then have 72 hours to respond in writing to the allegations. 7. The reporting Club will then have 48 hours to respond in writing to the response from the accused Club and individual. 8. The failure of any Club or individual to respond at any point in this process will result in the PAD Committee ruling on the information provided to it. 9. The PAD Committee will then make a decision regarding the report, pending any additional investigation and inquiry the PAD Committee determines necessary or desirable. 10. The party against whom the PAD Committee ruled will have the ability, for 5 days after the PAD Committee publishes its ruling to appeal the ruling. 11. All appeals must be made in writing to the PAD Committee. To be valid, an appeal must be accompanied by an appeal fee of $250.The club making the appeal must include the specific grounds for making the appeal and must specifically refer to the N.I.S.L. bylaw, rule, policy or procedure that was inappropriately applied by the PAD Committee in making its decision. The fee for the appeal must be received by N.I.S.L. within 3 calendar days of being filed and should be sent to N.I.S.L. at N.I.S.L. 545 Consumers Ave, Palatine, IL 60074. 12. ll appeals of PAD Committee decisions will be heard by a committee of the N.I.S.L.’s Board of Directors (the “Appeal Committee”). 13. he Appeal Committee will review the decision of the PAD Committee. 14. he Appeal Committee will determine if the PAD Committee misapplied the Rules, Codes, Bylaws or other documents governing N.I.S.L. and whether the decision of the PAD Committee is in accordance with N.I.S.L.’s policies, rules, guidelines and the good of the game. 15. The Appeal Committee can decide to uphold the decision of the PAD Committee, overturn the decision of the PAD Committee or return the protest to the PAD Committee for a rehearing based upon the submission of new evidence that was not available to the PAD Committee when the PAD Committee made its decision. A failure by a party to timely submit information to the PAD Committee shall not be a reason to order a rehearing. 16. Any appeal from the decision of the Appeal Committee will be made pursuant to N.I.S.L.’s Bylaws and the rules and regulations of US Club Soccer and the United States Soccer Federation. 1. Probation for the violating Club, Player and/or Adult Member. 2. Suspension of the violating Club, Player, and/or Adult Member. 3. Expulsion of the violating Club, Player and/or Adult Member. 4. Required education of the violating Club, Player or Adult Member. 5. Other penalties as are deemed appropriate by the PAD Committee. 6. Repeated violations by an Adult Member, Club or Player may result in stricter penalties up to and including expulsion from N.I.S.L..
7. Violating decisions of the PAD Committee will result in a stricter penalty. Please explain why not ? Is Your Club Single Entity or Board Members? * This field is required A single entity is an operating unit for which financial information is reported. / A board of members is a recognized group of people who jointly oversee the activities of an organization, which can be either a for-profit business, nonprofit organization, or a government agency. Club Primary Contact ? * This field is required Director of Coaching, Board Member, etc. Grassroots License Coach #2 ? Grassroots License Coach #3 ? Coaching License Coach #4 ? Grassroots License Coach #4 ? Coaching License Coach #5 ? Grassroots License Coach #5 ? Coaching License Coach #6 ? Grassroots License Coach #6 ? Coaching License Coach #7 ? Grassroots License Coach #7 ? Coaching License Coach #8 ? Grassroots License Coach #8 ? Coaching License Coach #9 ? Grassroots License Coach #9 ? Coaching License Coach #10 ? Grassroots License Coach #10 ? Coaching License Coach #11 ? Grassroots License Coach #11 ? Coaching License Coach #12 ? Grassroots License Coach #12 ? Coaching License Coach #13 ? Grassroots License Coach #13 ? Coaching License Coach #14 ? Grassroots License Coach #14 ? Coaching License Coach #15 ? Grassroots License Coach #15 ? Coaching License Coach #16 ? Coaching License Coach #17 ? Grassroots License Coach #17 ? Coaching License Coach #18 ? Grassroots License Coach #18 ? Coaching License Coach #19 ? Grassroots License Coach #19 ? Coaching License Coach #20 ? Grassroots License Coach #20 ? The location of the field must be entered on the Club/Team information on the website. All goals must have nets and the field properly marked with corner flags and a minimum height of (5) five feet. Goals must be secured as per FIFA goal safety rules and inspected before each game by coaches and officials. 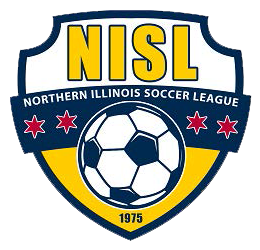 Please visit the following link: http://northernillinoissoccerleague.com/Assignors.html. You will find a list of assignors currently working for the N.I.S.L. feel free to contact them and find out if they are willing to work with your club. Let us know how the process went and if you need assistance. If your club is accepted to be a member of the N.I.S.L. you are required to provide a copy of each one of your players, Birth Certificate, State ID or Passport prior to registration.